My calling in life has set me on a path. And my obedience to that purpose requires me to stay focused and committed. That purpose is Building Bridges. Whether those bridges be racial, cultural, social, economical, cultural, generational, or denominational, I am here to build bridges. And when you are committed to a calling, it is important that you are not easily distracted. And as there continues to be ongoing debates and discourse around our national anthem, the flag, and the patriotism of athletes, all sparked by Colin Kaepernick's protest from taking a knee, let us not be distracted. Whether you agree with the method of protest or not is not the question we should be asking. Let's get back to the heart of the matter. Let us remember why he initiated the protest. What was the initial purpose? The purpose of the protest was to address the issue of inequities, inequalities, and marginalized treatment of people of color in America, often times revealing itself in the form of police brutality and the killing of unarmed black men and women at the hands of police officers. This issue has not magically disappeared simply because you choose to ignore the purpose of Kaepernick's protest. I can't help but think of the Myles Munroe quote that reads "when you don't know the purpose of something, abuse is inevitable." Those words could not ring more true in the case of Mr. Kaepernick. The issue of a damaged relationship and lack of trust between Law Enforcement and communities of color in America still needs to be addressed. The conflicts need to be resolved and the relationships need to reconciled. To help get us back on track, I offer the following food for thought in an effort to continue to resolve, reconcile and heal. And I genuinely welcome your thoughts and feedback. I equate what's currently happening with Law Enforcement and communities of color to the Great Depression of 1929. I believe Law Enforcement and the Black and Brown people in America are experiencing their own version of a Great Depression. The currency of trust has eroded and the value of life has somehow been diminished as a result. 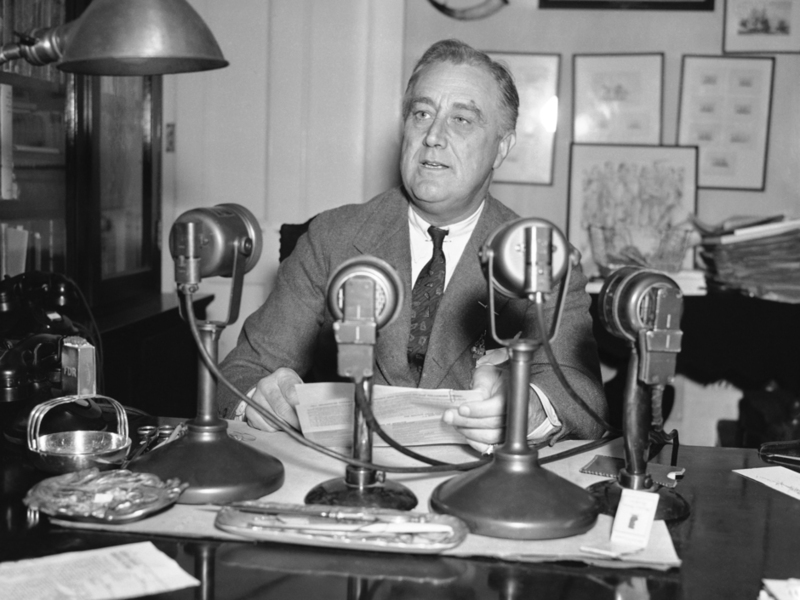 In his very first "Fireside Chat" in 1933 delivered on radio stations across the country, Franklin Delano Roosevelt explained to the general public what led to the Great Depression in very simple terms. He explained to the people that as a nation, we have experienced some bad banking practices and situations. Some of our bankers had shown themselves either incompetent or dishonest in their handling of peoples funds. They used the money that was entrusted to them in speculative, unwise, and inappropriate ways. This was of course not true in the vast majority of our banks, but it was true in enough of them to shock the people of the United States, for a time, into a sense of insecurity and to put them into a frame of mind where they did not differentiate, but seemed to assume that the acts of a comparative few had tainted them all. People began to withdraw their money at a rate in which the banks were not prepared to handle. This crippled the financial system as we knew it. Because without the contributions of the people's funds, the banking system, and thus our economy, cannot function, let alone thrive. 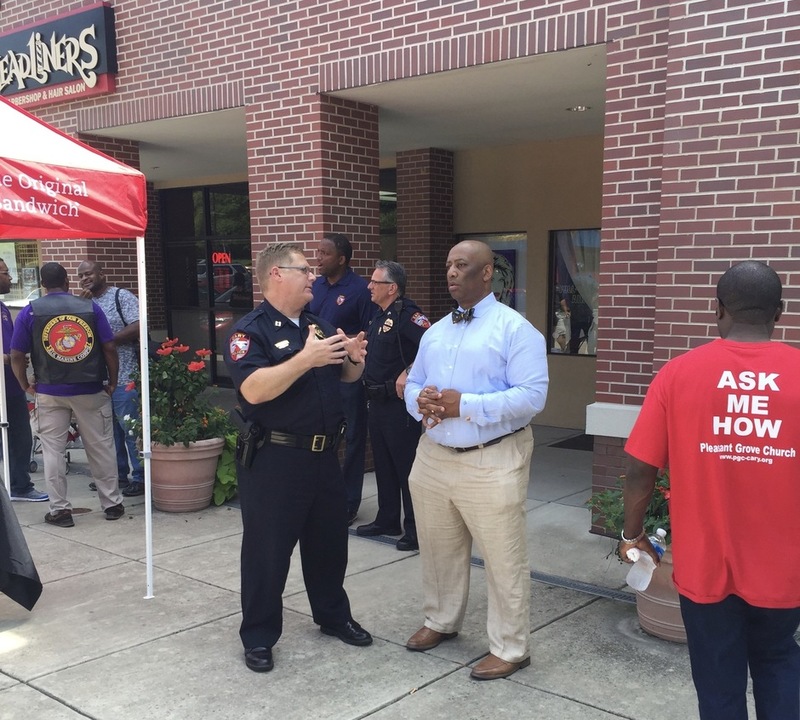 We are witnessing similar dynamics today between Law Enforcement and and the communities they serve. We have seen some bad policing practices and situations. Some of our police officers, agencies, and departments have shown themselves incompetent or dishonest in the handling of people's trust. They used the authority entrusted to them in irresponsible, inappropriate, or unwise ways. This of course is not true for the vast majority of our Police officers, agencies, and departments, but it was true with enough of them to shock the people of America into a sense of insecurity and lack of trust, and put them into a frame of mind where they do not differentiate, and out of a need for self preservation and survival, particularly for citizens of color, they assumed that the acts of a comparative few, had tainted them all. Much like our financial institutions of 1929 needed the confidence and resources of its citizens to thrive, our Law Enforcement Institutions of today need the confidence, trust, and legitimacy of its citizens; and not exclusively from, but definitely inclusive of, its citizens of color. Policing is not something that should be done to a community, or even for a community. Policing is something that should be done with the community. Our modern day version of Fireside Chats to help our bothers and sisters in Law Enforcement to Restore Trust, Resolve Conflict, and Reconcile Relationships with communities of color has been delivered via Barbershop Rap Sessions. These are candid and courageous conversations about issues of race, justice, and trust that provides all stakeholders and participants with the insights, perspectives and tools to effectively address these issues and build healthier and stronger relationships. We have been blessed to take these learnings and practices even deeper with our COHORT Workshops (Community Organizers Helping Officers Restore Trust). And we've seen tremendous results. Let us know how we can help you do the same. But in the meantime, I encourage you to at least start having the conversation in a very intentional, mindful, meaningful, and constructive manner. And trust me, that level of dialogue with such a sensitive topic does not get resolved on Social Media. We must be able to Meet people where they are and then be willing to Love people where they are. Even when we don't love where they are. In my opinion some of your statements not of interest right now because of time and cultural differences. But with some I agree. Anyway, have a look on www.essaysworld.biz this website. After looking at the couple of the blog articles on your online journal, I genuinely welcome your method for https://www.assignmentuk.co.uk/write-my-assignment writing an article. I spared as a most loved it to my bookmark website page list and will checking back rather than later. Share your thoughts. This article is very nice as well as very informative. I have known very important things over here. https://www.assignmenthelperuk.co.uk I want to thank you for this informative read. I really appreciate sharing this great. The information you share in these post is very well. I visit this website and i found many interesting news blogs which is very useful. This blog which about the fireside chat is very interesting i really it. Thanks for sharing this all. I must share this with others. Once you are get done with the first tune it is sure that next time it is able to give better performance. I really like to admire you for sharing this type of information because https://www.edisoncarservice.com I have been wondering to do it. Thanks for sharing valuable and authentic stuff. I would like to say thanks for such type of interesting and informational content. Thanks for sharing your post with us. This is absolutely vague why they do that, however it has a tendency to keep Ladbrokes Casino from turning into an overall brand. Amazing Site Thanks For This. After you are through finishing the TalktoWendys Survey, you get compensated with free Wendys' https://discosw.net/talktowendys-survey Coupon or Validation Code.